How to use Value My Collection ? 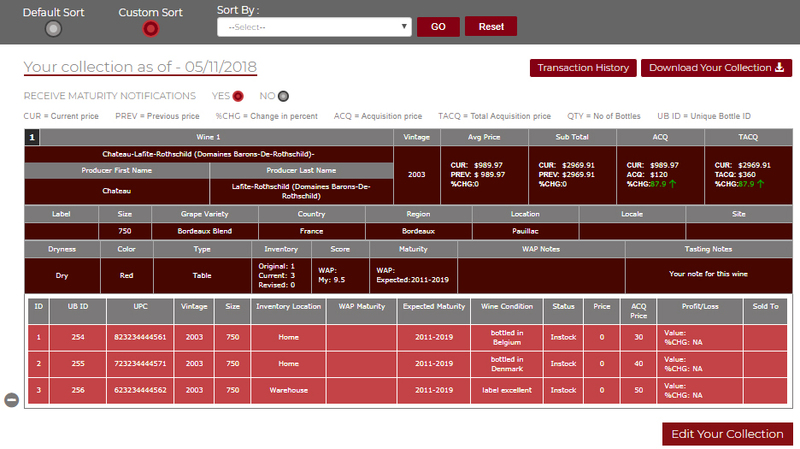 We will soon be launching an exciting new wine collection management system on Wineauctionprices which will efficiently facilitate users being able to enter or upload, and manage their inventories. Pricing data will automatically be updated every time you login so that you are always aware of current values and can best determine purchase and investment strategies. 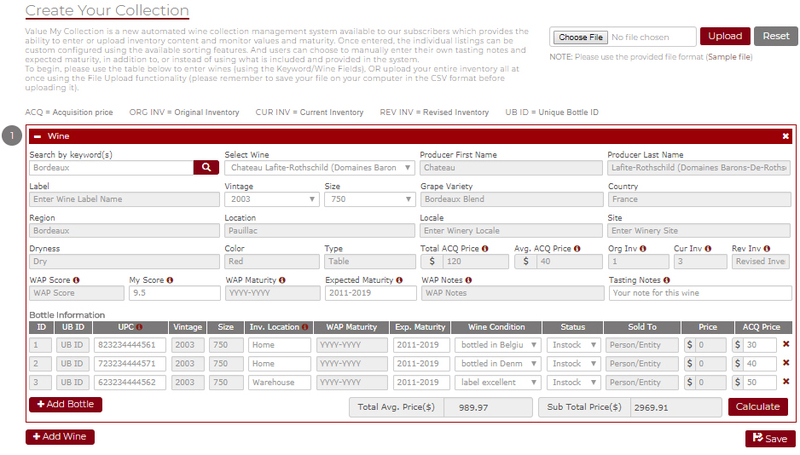 Suggested maturity notes will be provided for major regions so that you can monitor drinkability, and you can choose to have automated reminder emails sent to you by the system for wines which have reached maturity and you may want to consider drinking or selling.